Users are able to vote on the poll by pressing Vote on the option they want. If they attempt to Vote again it will change their vote from what they previously voted on to the new option they selected. 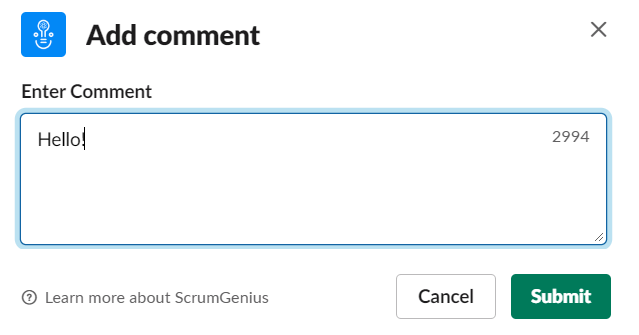 When they press submit ScrumGenius will post a message as a reply to the poll with their name and message.